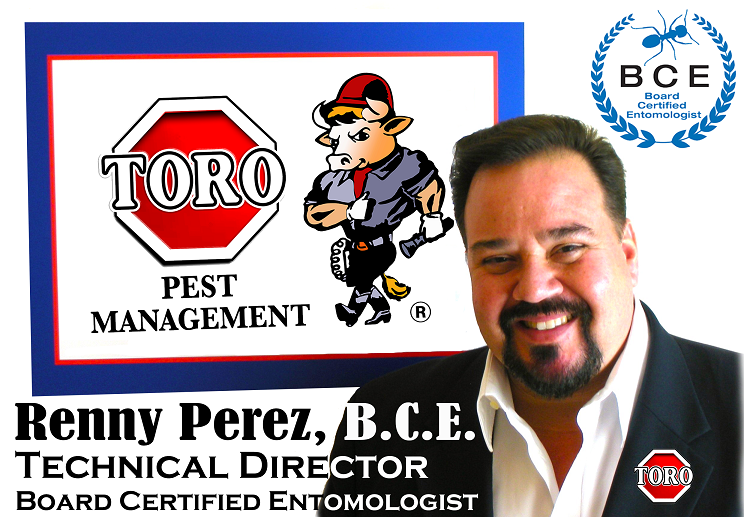 I started my career working for Toro Pest Management in July of 1987 and never looked back. I worked as a Service Technician for eight years. I then transferred to the Termite division for two years as an Inspector. My next 3 years I served as Service Supervisor. Thereafter in 2001, I was promoted to Service Operations Manager. On July 2002, I pass my Board exam and became a Board Certified Entomologist. I was appointed as Technical Director for Toro Pest Management. My major responsibilities as company Technical Director is creating our companies training manuals, service treatment protocols and selecting the best green products available. For the Past 25 years I have worked for University of Florida Fort Lauderdale Research and Education Center in various capacities. I am here to kindly respond any concern/question you may have relating pest control.